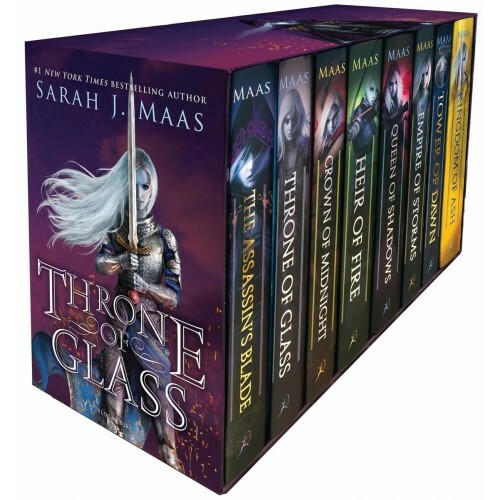 Fans of Celaena Sardothien and her epic fantasy series Throne of Glass will be thrilled with this deluxe hardcover box set, which includes the newly released series finale! When Celaena comes to the palace to fight to the death for the right to be the king's champion — and win her freedom — she ends up caught in a battle against dark forces that threaten her entire world. Rich worldbuilding and and epic journey from slave to queen make this series a thrilling ride from start to finish. This set includes hardcover editions of all books in the series, plus a four-color poster.